Reunion Island has been affected for years every time heavy rains are hit the mid-ocean tropical island. A notice recently said: RN1 Road of the littoral following the heavy rains fell this night on the North of the island and the Corniche (more than 50 mm) the circulation will be done in mode tilted on the way sea side of the Potences to the Possession until Friday morning. Around 5:30 this morning the traffic will be with 1 lane to West 2 towards the capital. These disruptions are so common, and this is what has pushed President Didier Robert, the Regional of Reunion, to launch the new highway project. The construction is a feat in itself, with the construction site being visited by Reunionais and visitors wanting to appreciate the works. 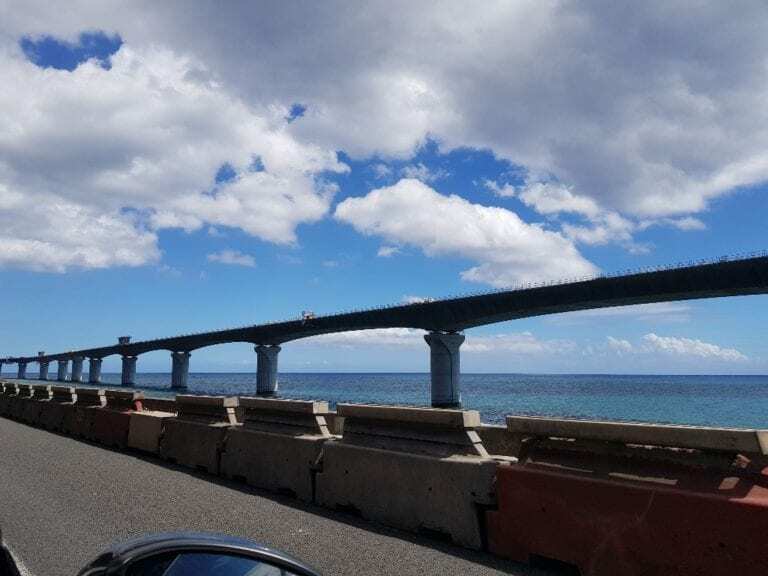 Though the works are moving fast, it is estimated that Reunion Island has another year of road closures when it rains before the new roadway opens.